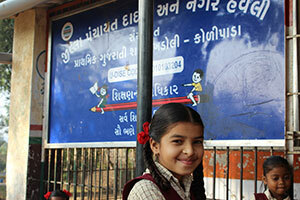 ACT supports education for underprivileged girl children from Std. 1 to 12 as well as professional graduate and post-graduate courses to empower them with the self-confidence and intelligence required to ensure better lives for themselves. 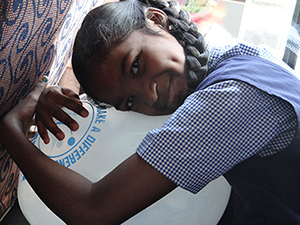 We invite you to use your fortunate ability to create smiles and make a difference by supporting a girl child’s school education and help fulfill her dreams. This ACT of grace and compassion will most certainly change her world and improve the status of girl children in our society. You may start with an annual fee sponsorship as per the options given below. This sponsorship can also be made as a thoughtful gift to friends and relatives, and as a unique wedding favour to guests. 1st to 10th std. (rural area): Rs. 100 per month = Rs. 1,200 p.a. 1st to 4th std. (urban area): Rs. 200 per month = Rs. 2,400 p.a. 5th to 10th std. (urban area): Rs. 300 per month = Rs. 3,600 p.a. 11th to 12th std. : Rs. 400 per month = Rs. 4,800 p.a.